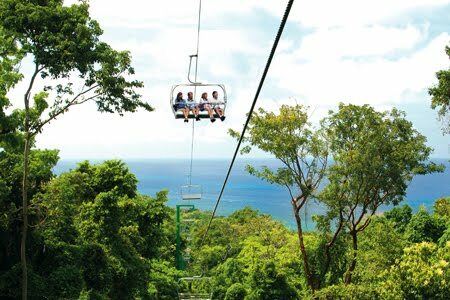 Rainforest Adventures at Mystic Mountain in Ocho Rios, Jamaica, is offering “I Do at 700 Feet” wedding packages that allow couples choose an adventure-themed ceremony. Couples can “take the plunge” on the Sky Explorer zip-line course through the treetops, on the lawn atop Mystic Mountain, or in the Mystic Pavilion restaurant. 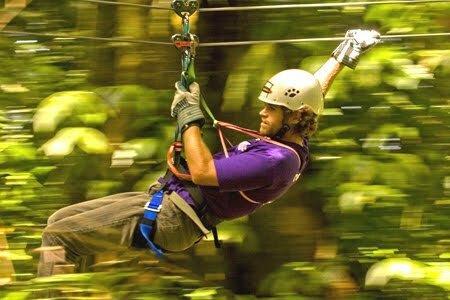 Rainforest Adventures at Mystic Mountain’s “I Do at 700 Feet” packages include marriage certificate, license fees, two witnesses (if none available) and all legal processing of documents prior to wedding. “I Do” packages also include a marriage officer, bridal bouquet, boutonniere for groom, on-site wedding coordinator and professional photography, plus a one-tier wedding cake. Two bottles of champagne and tropical decorations are also included, along with 24 professional photographs. 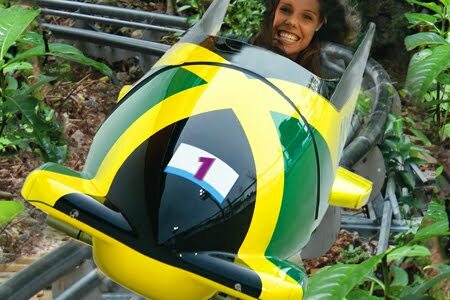 For more information, call 876-974-3990 or 876-974-3991 or visitwww.rainforestrams.com.